PRK is the most common, using the laser to gently reshape the outer surface of the cornea in seconds, while deeper cell layers remain virtually untouched.This reshaping enables light rays entering the eyes to focus properly on the retina, resulting in clearer vision. As the layer removes only a thin layer of the cornea, the cornea is not diminished in strength. LASIK combines the precision of the excimer laser with a procedure that has been performed manually for over 20 years; namely the radial keratotomy operation. It can be particularly beneficial to patients suffering sever cases of myopia and to a certain degree astigmatism. The more myopic you are, the more tissue is removed and the longer the reshaping process for both PRK and LASIK. Yet even the most severe cases of myopia require only one minute of laser treatment. And since it removes less than 20% of the cornea’s thickness, it does not weaken the eye. Nine out of ten myopic people require less than 30 secondsof laser treatment, and only a layer as slender as a human hair is removed. First and foremost it will determine whether you a suitable candidate for the procedure. It is important to realise that if you are not a candidate now, you might well be one in the future. 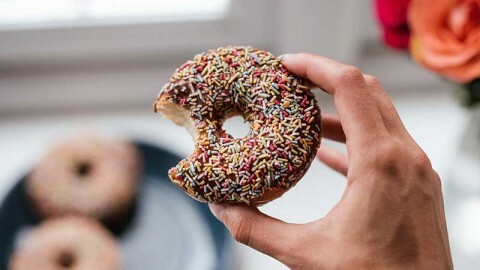 By the same token, the excimer laser procedure would be unsuitable for reeasons such as patients suffering certain diseases of the eye involving the cornea or retina. It gives the opportunity to educate you on all aspects of the procedure, and enables you to make an informed decision as to whether or not the surgery should be performed. If you decide to go ahead, it will help you decide which option to choose, plus it will help you determine what to reasonably expect. After the Optometrist’s examination, you will need to go for a personal consultation with the Ophthalmologist, who will share the results of your examination so far. Based upon these results and the Ophthalmologists experience, the two of you will decide whether you are a suitable candidate for the procedure. All forms of corrective lenses and surgical procedures have their benefits and limitations, which is why choosing the right option could be a difficult exercise – and havingall the information on each choice is the only way to go about finding the right solution. They must have had stable vision for two years prior to the procedure (usually after 20 years of age). They must be free of certain diseases of the cornea and retina. They must have realistic expectations about the outcome of the procedure. They must understand the that complications, while very rare, can arise. It is important that you understand the full extent of the risks associated with the laser excimer procedure. 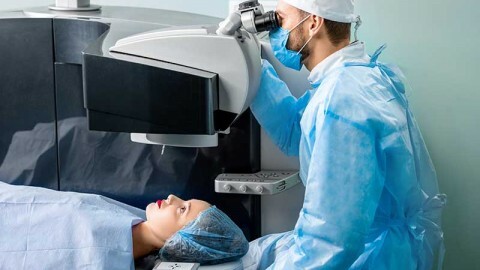 While the risk of incurring serious vision-threatening complications is lower than 1%, the laser excimer procedure, like all surgical procedures, does have a number of limitations and risks. You suffer no pain or discomfort during the LASIK procedure itself. Thanks to new techniques, as few as one patient in ten has pain after the procedure, which is treated with strong medication for 24-48 hours. The majority of patients suffer a measure of irritation, light sensitivity and watering of the eyes for a few days. Infection is probably the greates risk during the first 48 to 72 hours following the procedure. You will receive antibiotic drops both before and after, and the risk of infection is about 0,2%. However, all patients must be careful for the first week, and avoid activities such as gardening and swimming. It is also recommended to avoid make-up for the first couple of days. 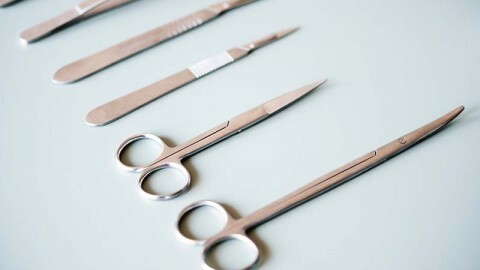 Remember that while most infections are treated and eliminated, a sever enough infection can produce scarring which can reduce sharpness of vision. If this occurs,an ‘enhancement procedure’ may be required to eliminate or reduce the scar. Even without the excimer laser procedure and with glasses or contact lenses, many myopic patients experience poor night vision. 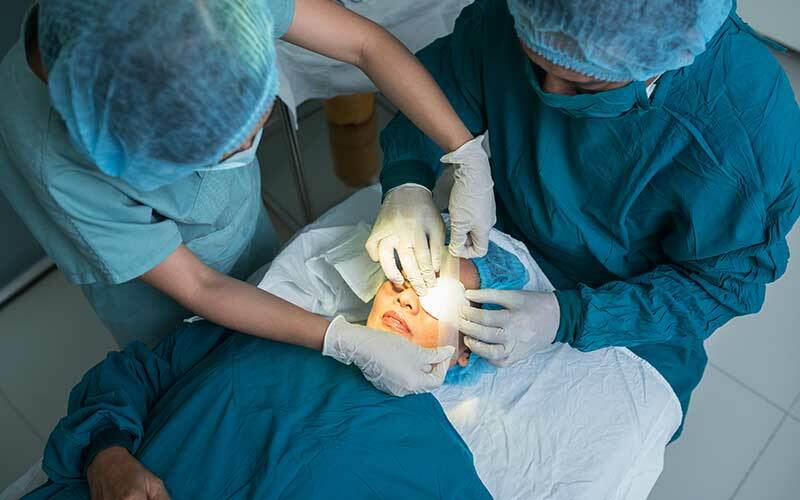 Glare is common immediately after the procedure and you will typically experience both day and night glare for the initial 3 to 4 days following the procedure. After a few days you will continue to experience a small amount of night glare and after of about 6 months, you will be back at your ‘pre-procedure’ level of night vision. Please keep in mind that some patients may still require glasses or contact lenses in the eveningto further reduce night glare and improve their night vision. Healing haze is NOT a fog or a blur. Most patients are not even aware of it as it is microscopically small. It rarely affects vision; in fact most eyes clear within the first year. Severe haze that can affect the vision is extremely rare. Last but not least, one of the main factors indicating your risk level is whether or not you are a good healer. Across all types of procedures, 1% of patients are abnormal healers. If haze persists, an enhancement procedure may be rquired to eliminate or reduce it. Undercorrection is more common than overcorrection. However, while small amounts of undercorrection do not seriously affect the resulting vision, large amounts may necessitate a second enhancement procedure. Initial overcorrection is usually planned as the cornea tends to regress or bounce back somewhat towards it’s original shape as it heals. The eye generally stabilises to near predicted results within three months. However, on rare occasions the patient remains overcorrected. Should this happen, the patient may have to wear glasses or contact lenses and after about six months there is a possibility to enhance the overcorrection. Regression is the shift back towards myopia or astigmatism, following the excimer laser procedure. This shift may necessitate either an additional procedure or the use of glasses or contact lenses. In the majority of cases the regression experienced is minimal, but it is always safer to perform a second procedure to correct regression than to significantly overcorrect your prescription. Furthermore, being left slightly myopic is an advantage, as presbyopia sets in at age 40-50, leaving you with some reading ability. Most patients stabilise within a few months, while others take a full year.About one patient in ten will require a second “enhancement” procedure within the first year; a cost which is covered in the initial procedure fee. About 1% of patients experience a small loss of visual sharpness. These are usually patients suffering more sever dgress of myopia, and it basically means that you might lose the ability to read the bottom line or two of the eye chart. However, the majority of patients actually maintain the sharpness of their vision after laser treatment. These days many advertisements claim that you can ‘throw away your glasses’. This could be misleading. While it is true that most patients will not require glasses or contact lenses after the procedure, some will require reading glasses or glasses for night driving. In fact, severely myopic patients may still require glasses or contact lenses despite the fact that their vision has been dramatically improved. So it is best not to think of the procedure as eliminating your glasses, but rather as reducing your functional dependency on them and improving your vision. Because nearsighted eyes are associated with a higher incidence of retinal problems than normally sighted eyes, it is recommended that nearsighted individuals need to have annual dilated retinal examinations performed by their Ophthalmologist – regardless of whether or not they choose to undergo excimer laser treatment. One of the most common questions is how long the benfits of the procedure will last. Since it’s inception in the late 1980’s, the excimer laser procedure has been conducted in many countries around the world. Many studies have looked at the long-term effects of the laser on the cornea – and all these studies have, without exception, failed to demonstrate any long-term effects on the integrity of the eye. Because the integrity of your eye remains intact, stability appears to be good. Sponsors: Alcon Laboratories (SA), Allergan Pharmaceuticals, Bausch & Lomb (SA), Ciba Vision, Johnson & Johnson.